At the Payer Law Group, we believe police officers deserve workers compensation. Law enforcement officials are put in harm’s way every day simply for doing their jobs. The possibility of injury or violence is there whether they’re working undercover, performing traffic control or working as investigators. Police officers need to know how workers compensation plans work and that they’re entitled to these benefits in the event they are hurt while on duty. 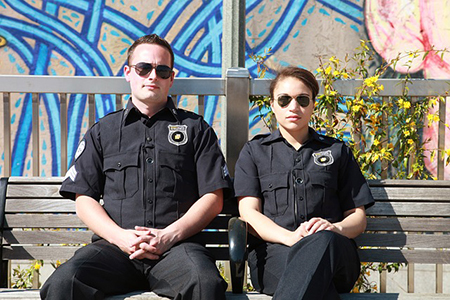 Let’s look into a few facts about police officer workers comp plans. If you’re a law enforcement officer in need of workers comp, it’s important to know that you’re up against it when it comes to the insurers and even your employer. Guess who the insurers work for? The employer…not the police officer. This means everything is skewed to look after the best interests of the law enforcement agency and not the individual officer. As a police officer, don’t count on the employer or insurance carrier to give you all the pertinent information when it comes to your workers comp rights. Don’t get surprised when the insurance company tries to protect your employer by denying or devaluing claims. Make sure to take a stand. Don’t back down until you’ve received everything you’re entitled to after an injury. It’s common for police officers to wonder whether PTSD or work stress related issues are covered under worker comp. This is an issue where you’ll want to meet with a qualified workers comp attorney in order to fully understand where you stand with psychological and stress-related injuries. These types of injuries come up, for instance, when an officer is involved in shootings or other violent and life-threatening situations. Counseling is often needed to help an officer mentally deal with what they went through. It’s possible for workers comp to step in and help pay for any services needed. When police officers or law enforcement officials need help with their workers compensation needs, there’s no better option than turning to the Payer Law Group for assistance. Payer has the experience needed to make sure you’re treated fairly and receive everything you deserve after getting injured on the job. We’re aggressive in working with insurers as we fight for your rights. Payer has the dedication and resources needed to move through even the most complicated workers comp cases in a way that results in a positive situation for you and your needs. Take the time to contact us today. Call us or use our Contact page to get in touch. We’ll set up a time to talk through your case, get the facts, help you understand where you stand and what steps to take next. You’re not alone. Request a free and professional evaluation today.